Mine Site Technologies (MST) Global is pioneering communication by making it possible through deep rocks. 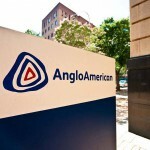 Anglo American has reportedly resumed operations at the Moranbah North coal mine in Queensland following last week’s underground incident at the site. Caterpillar has launched the Cat R1700 underground mining loader, which features a new design that has delivered high productivity and efficiency during field trials and in production studies. Gold miner Evolution Mining will advance three projects at the Mt Carlton operation in Queensland after approving a $60 million investment. OZ Minerals’ development of the Carrapateena copper-gold project in South Australia is taking shape as planned. Gold miner Resolute Mining has established a $US100 million ($135 million) revolving loan facility with Investec Australia.